Unlike the water in a sink or a bathtub, the water level in Earth’s oceans is not the same everywhere; sea level varies with location and time. On time spans of hours to days, sea level is influenced by tides, winds, and waves, including storm surges. Sea level rises when oceans warm, and it drops when they cool (because water expands when it heats up and contracts when it cools). Regional variations in sea level can persist for many years, even a decade. Underlying all these changes is the slower rise and fall in global average sea level as ice ages recede and advance over millenia. 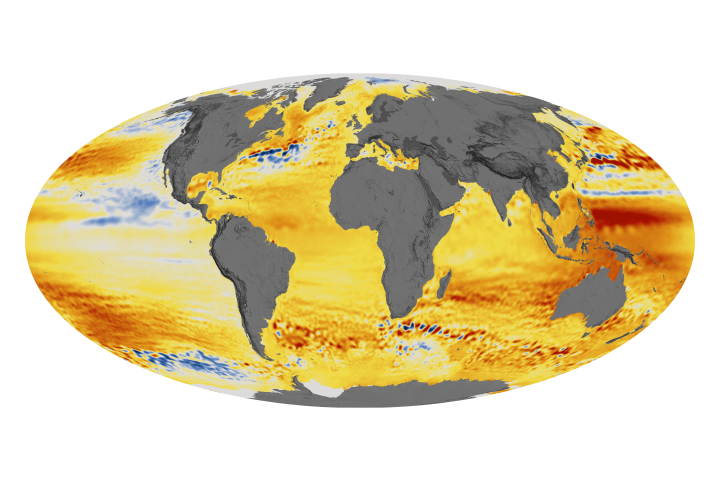 This map shows global patterns of changes in sea level (sea surface height) measured by satellite-based altimeters (Topex and Jason 1 satellites) from 1993 through the end of 2007. 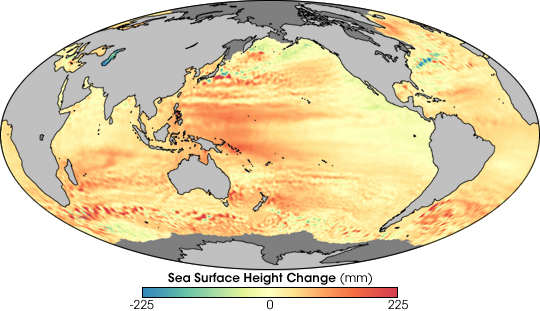 Places where the sea surface height increased up to 225 millimeters (about 8.9 inches) are shown in dark red; places where sea level dropped are blue. The most widespread change in sea level over this time period was an increase in the Western Pacific sea surface height. During the period spanned by this image, a climate pattern called the Pacific Decadal Oscillation was in its warm phase, and sea surface temperatures were above average in much of the basin. Thermal expansion during this warm phase would be consistent with a rise in sea level. Other changes reflect shifts in large-scale ocean currents. For example, the sea level rose in the North Atlantic Ocean south of Greenland. The rise is related to a weakening of an ocean current known as the North Atlantic Subpolar Gyre. The subpolar gyre is a counter-clockwise current in the North Atlantic whose descending branch flows southward along the southeast coast of Greenland. When the gyre is strong, it carries cold, salty water deep into the ocean, where it flows back toward the equator. When the current weakens, temperatures warm and sea level rises. Other areas in the image that suggest a decadal-scale change in ocean currents include the mid-Atlantic off the east coast of the United States, where the line of blue (drop in sea level) could indicate a change in the average latitude or velocity of the Gulf Stream Current. A sea level rise occurred in the area of the western Pacific east of Japan that is influenced by the Kuroshio Current, which is the analogue of North America’s Gulf Stream. Finally, a scattering of dark red dots across the Southern Ocean between Africa and Australia may signify a change in the Antarctic Circumpolar Current. Changes in the location or velocity of ocean currents over the span of decades can be part of a natural cycle, or they may indicate the beginning of a long-term change in a current as a result of human-caused climate change. 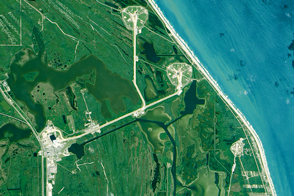 Satellite observations of sea level from satellites such as Topex, Jason 1, and the recently launched Jason 2, are critical tools for scientists trying to understand how global warming will affect ocean heat storage and global sea level rise over many decades. Commonwealth Scientific and Industrial Research Organisation. 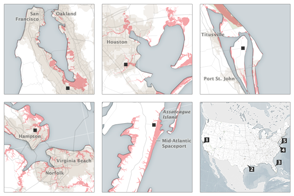 Sea level rise. Accessed June 30, 2008. NASA. (2004). Satellite Records Weakening North Atlantic Current. Accessed June 30, 2008.